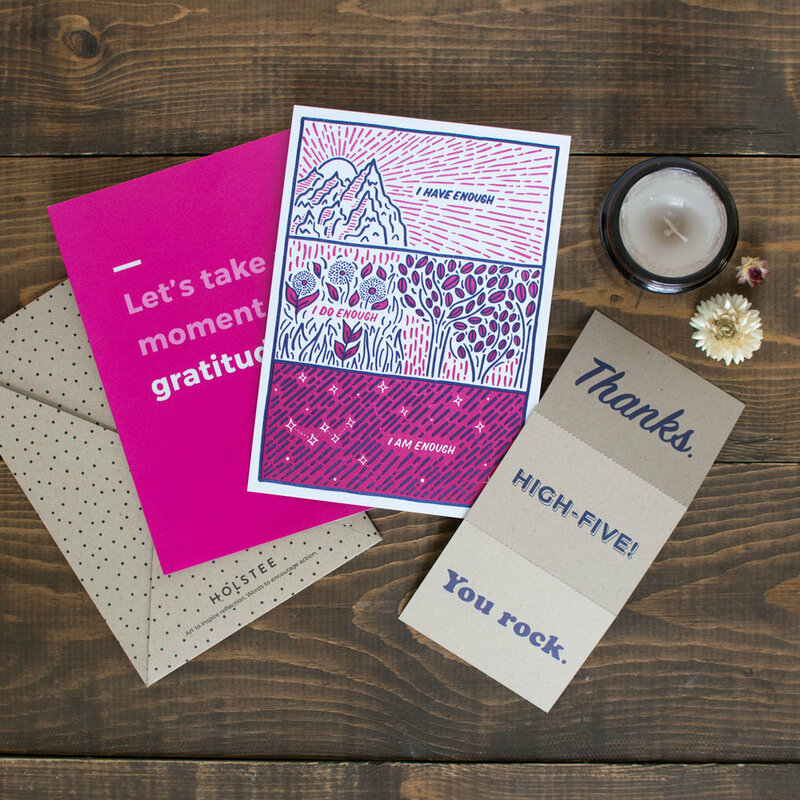 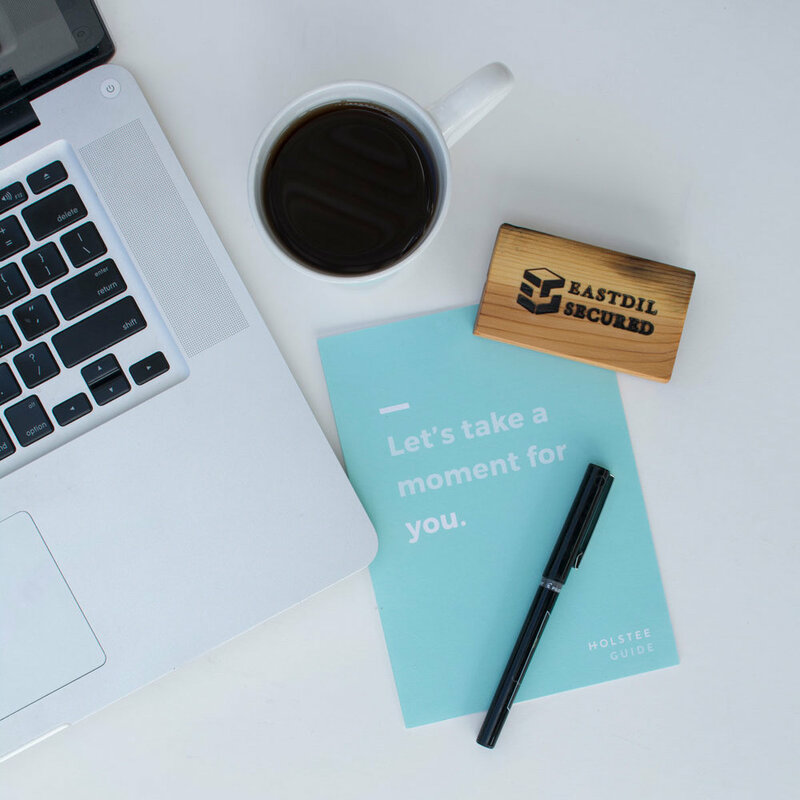 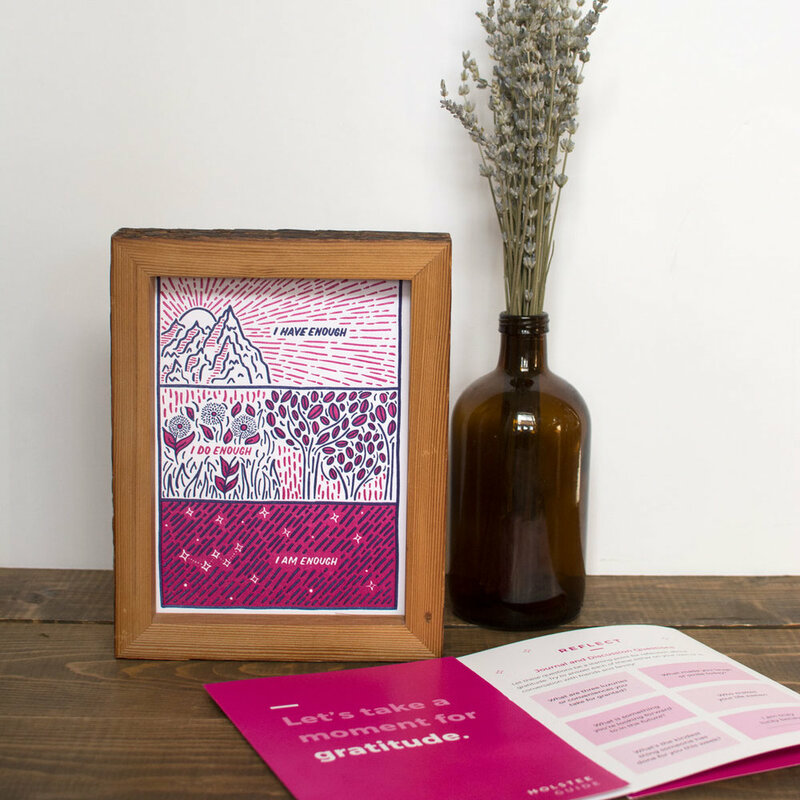 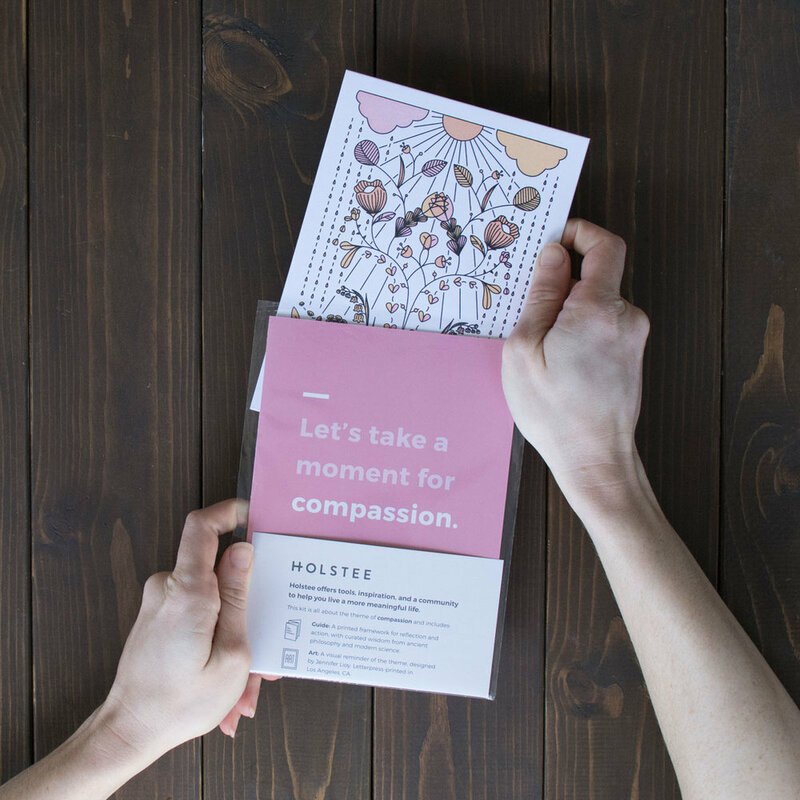 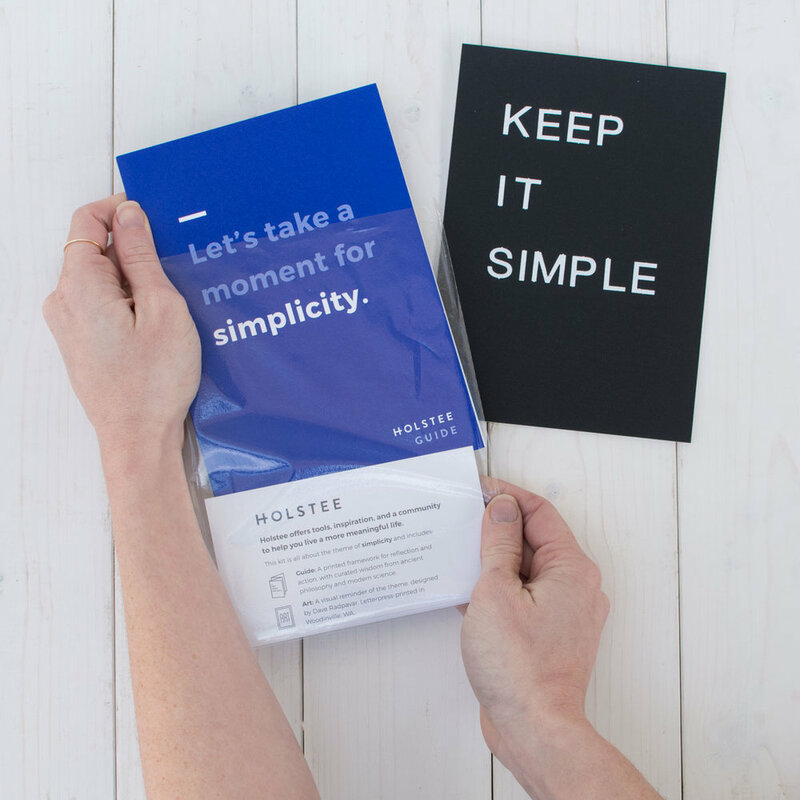 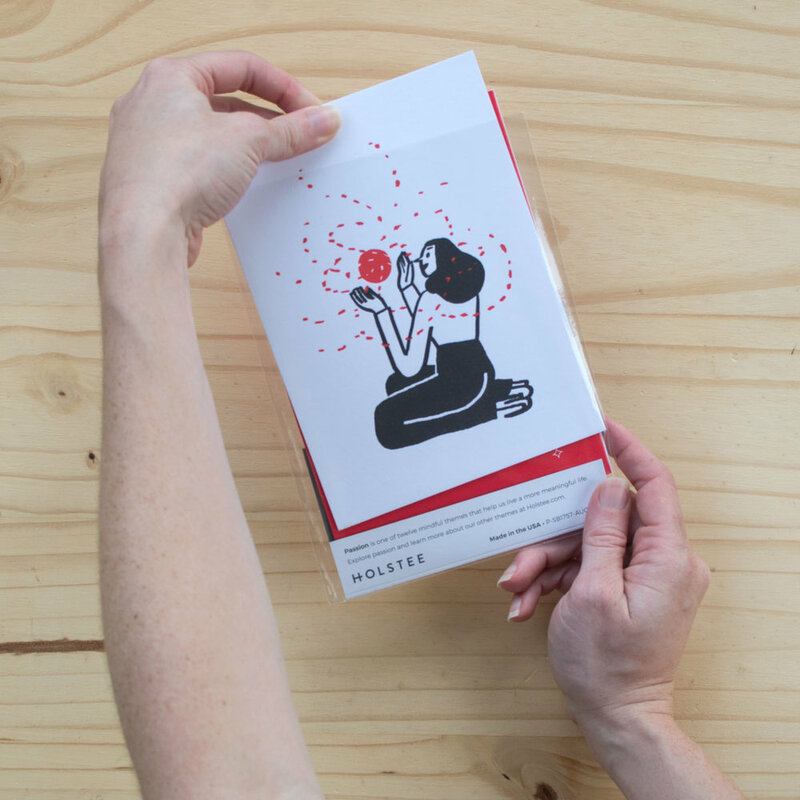 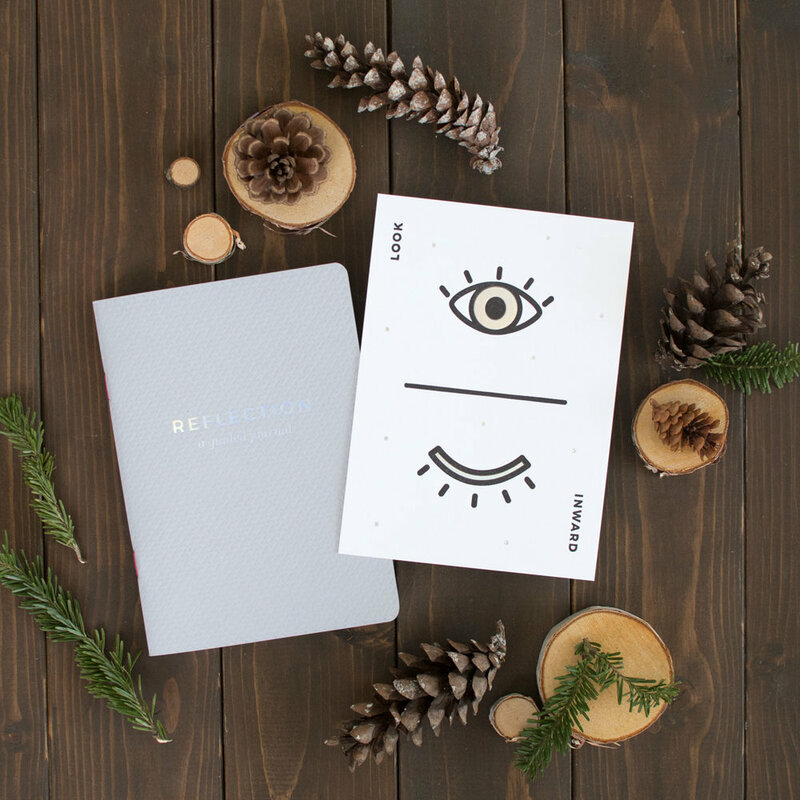 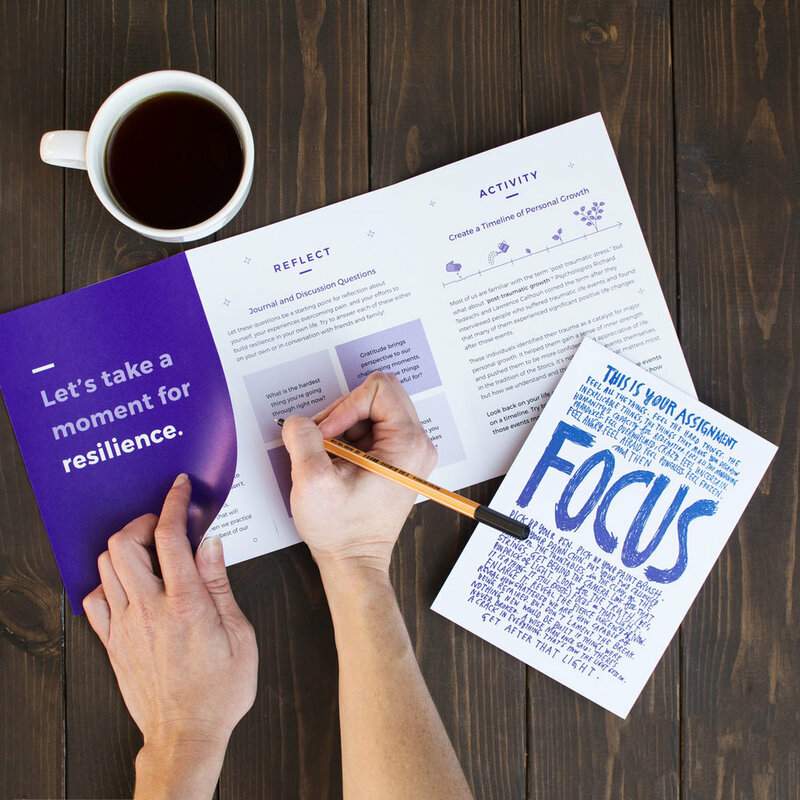 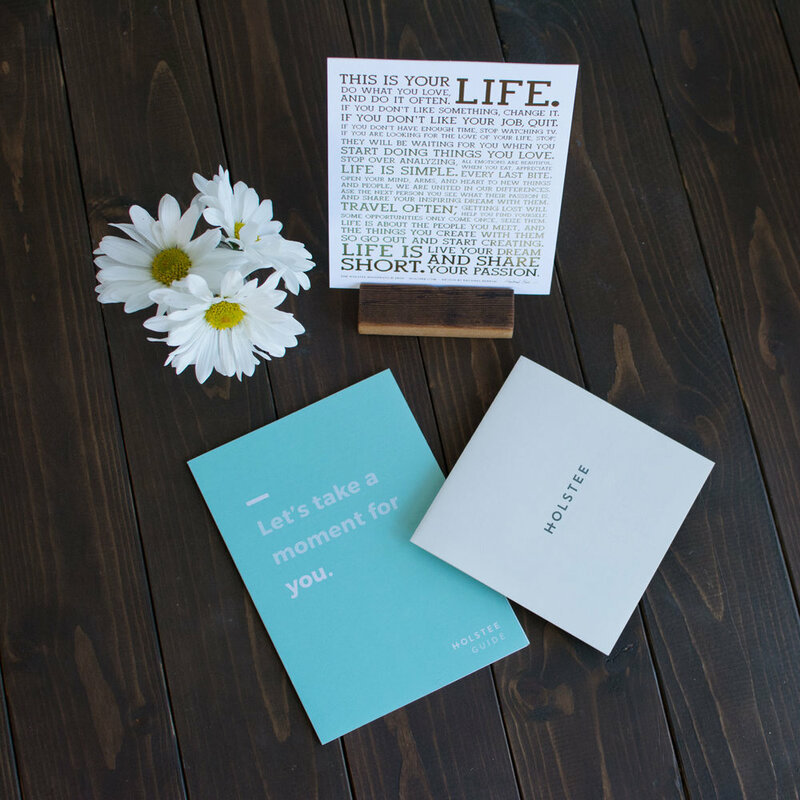 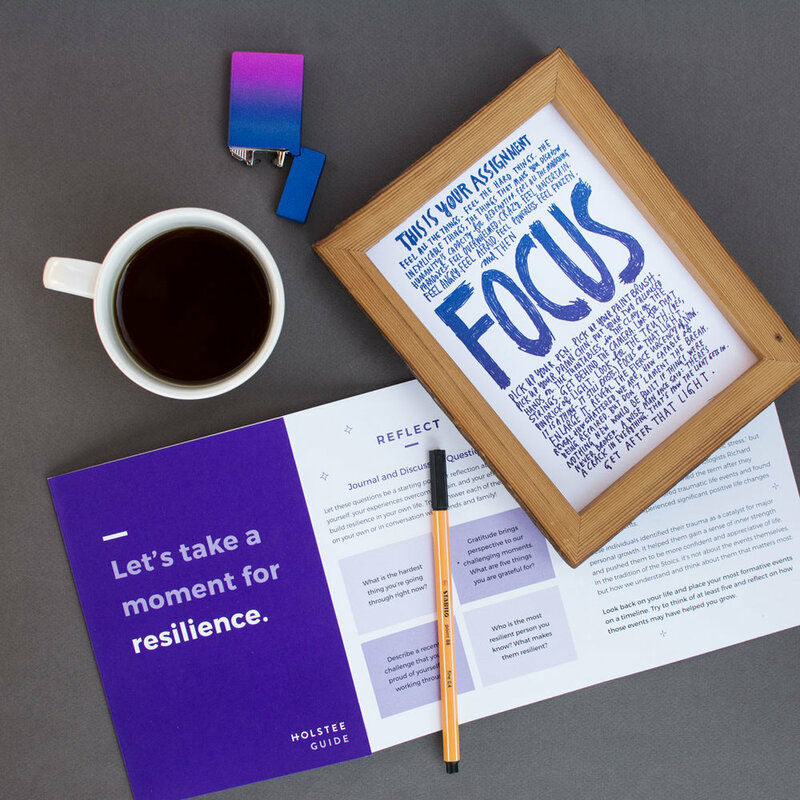 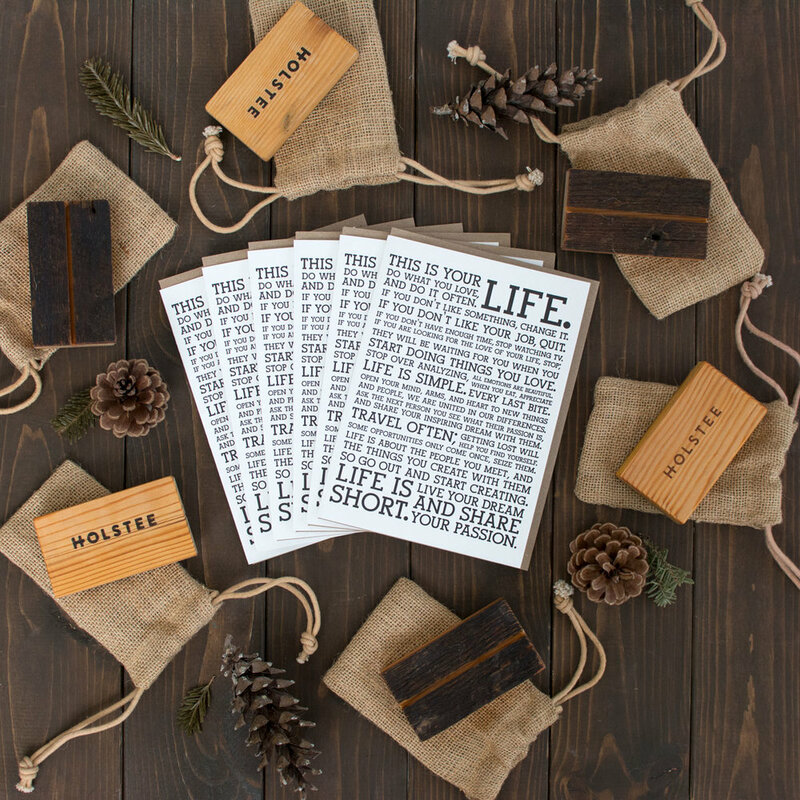 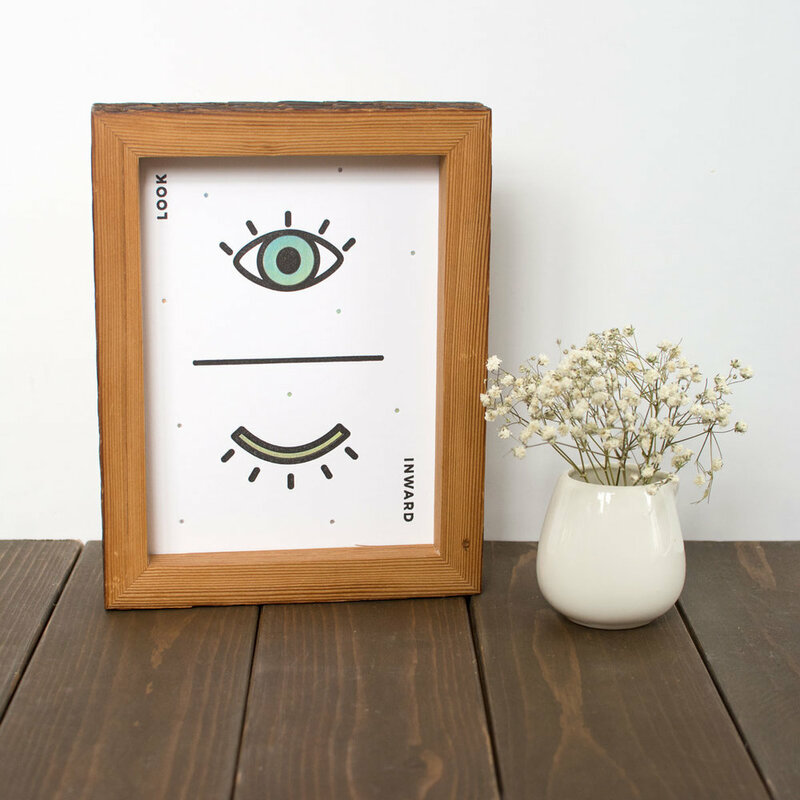 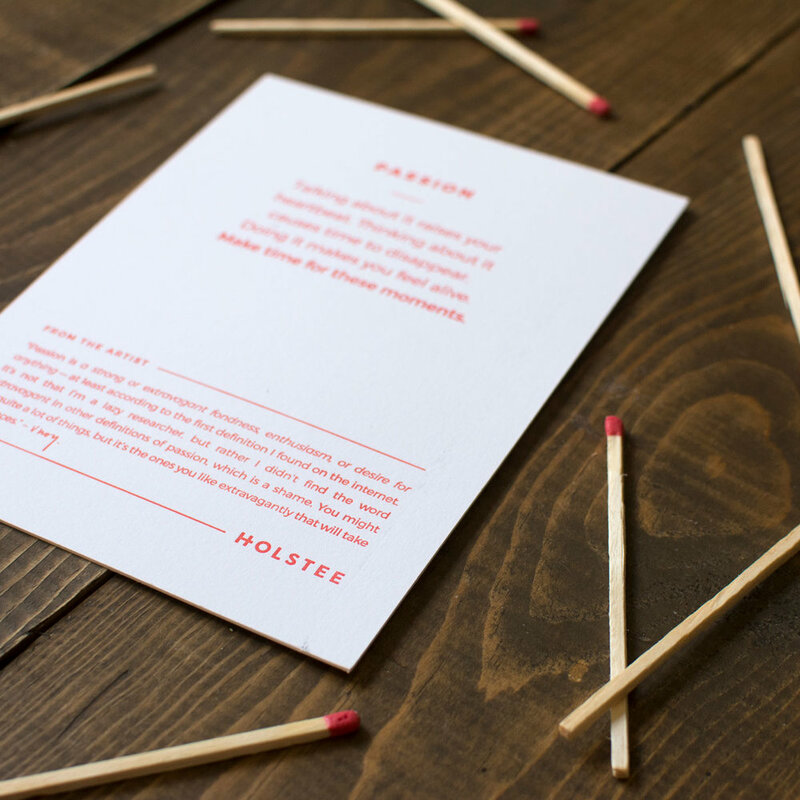 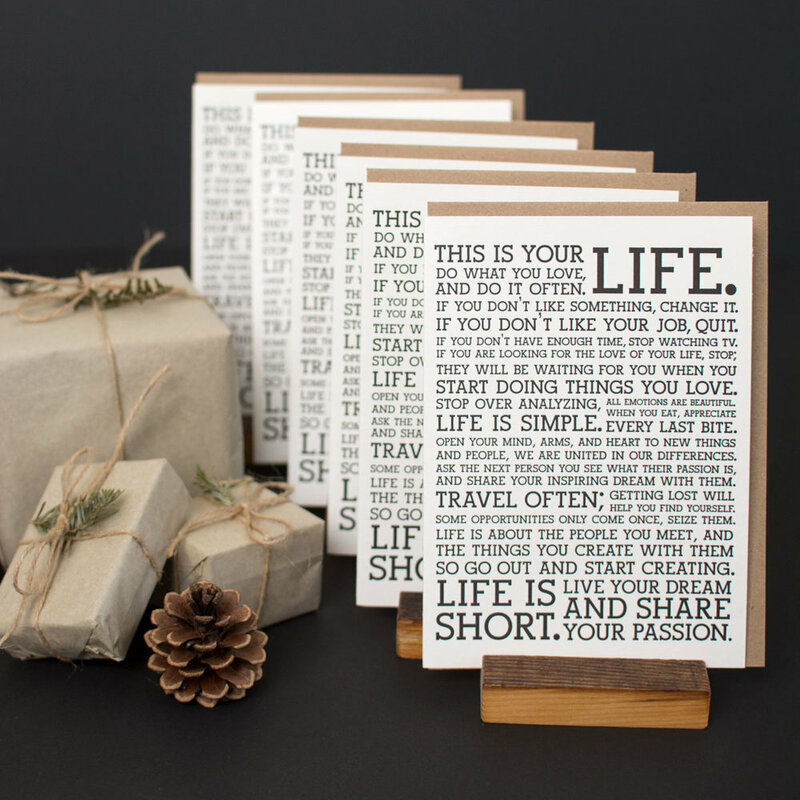 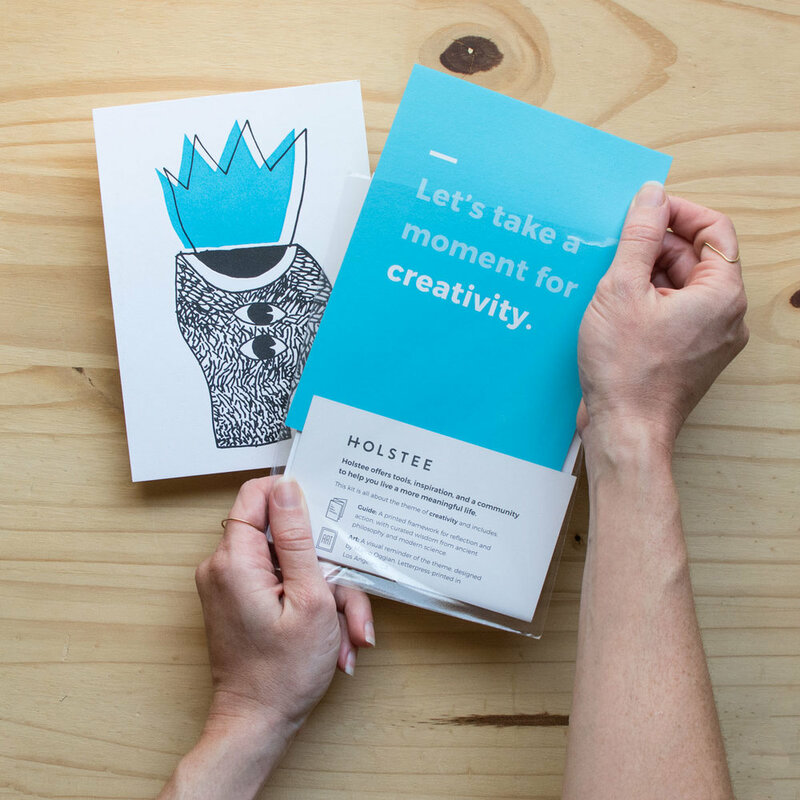 Holstee creates mindful art, and has a Mindful Art Subscription. 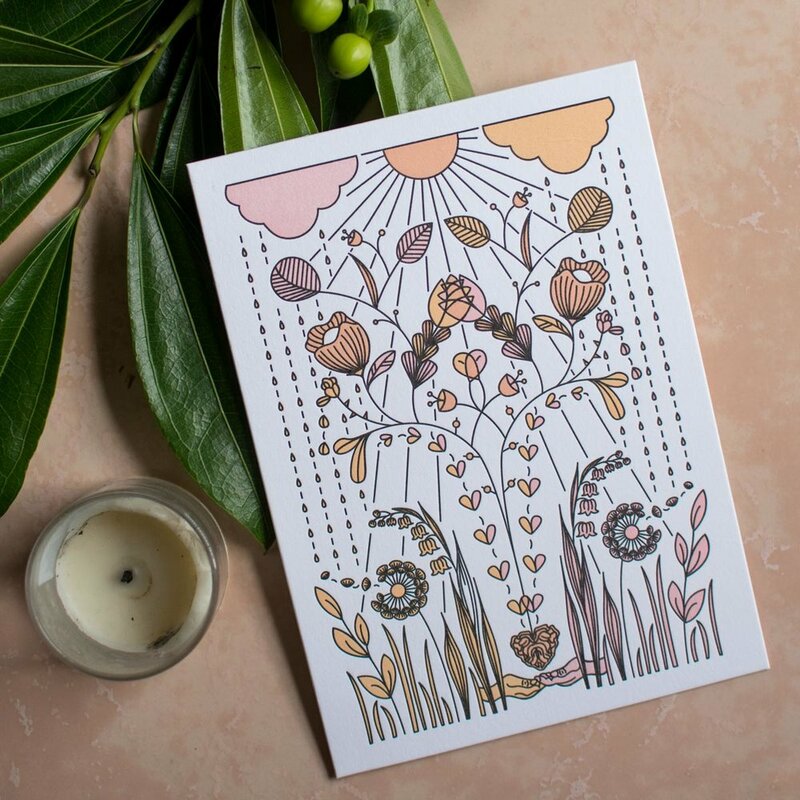 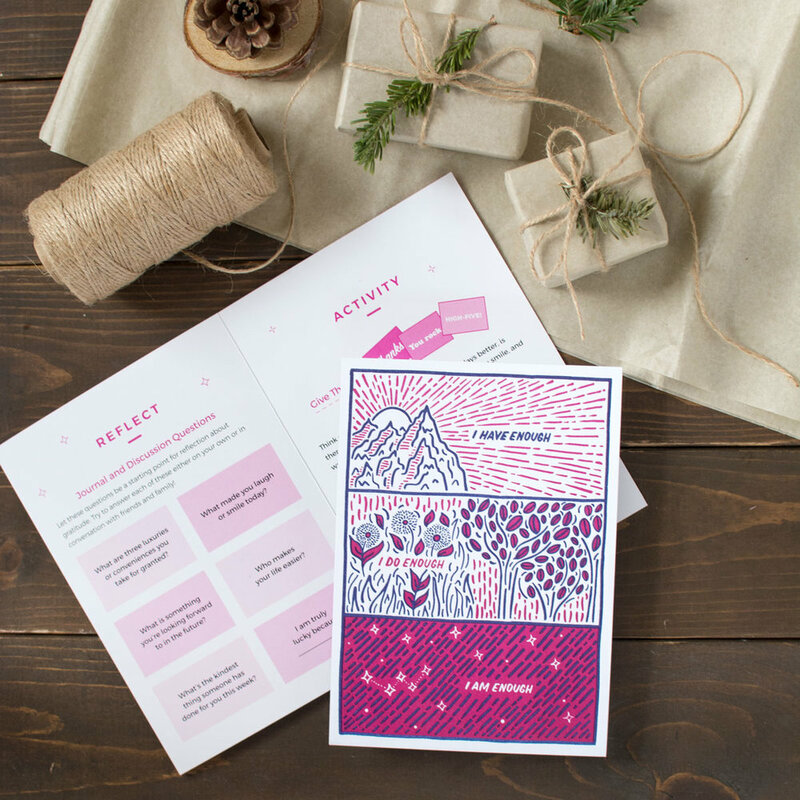 This means that every month, you get an envelope in the mail with a kit that goes along with the month's theme; every month is different, but each year typically goes through the same cycle of themes. 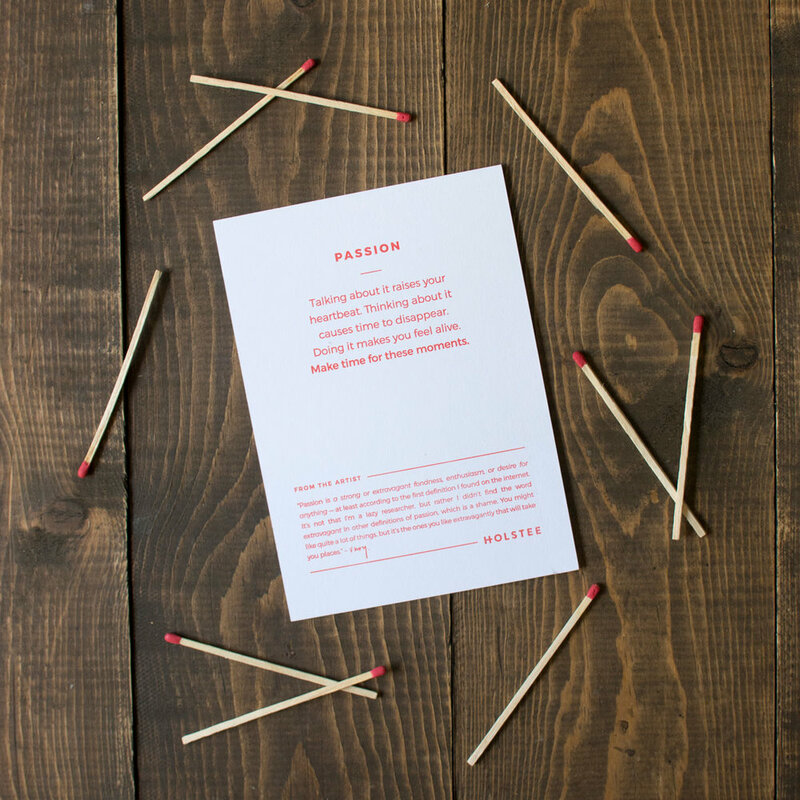 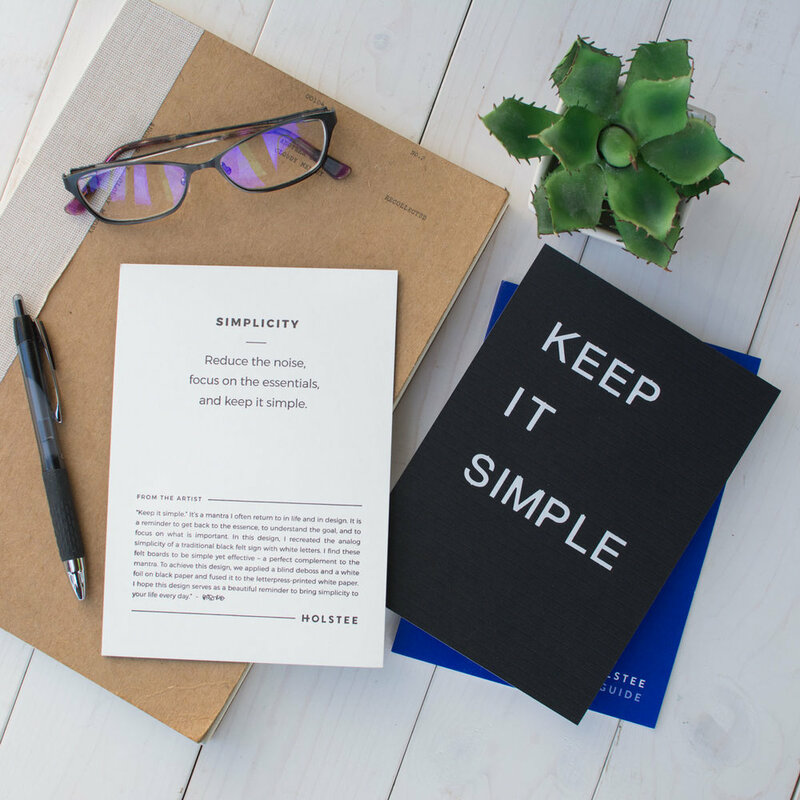 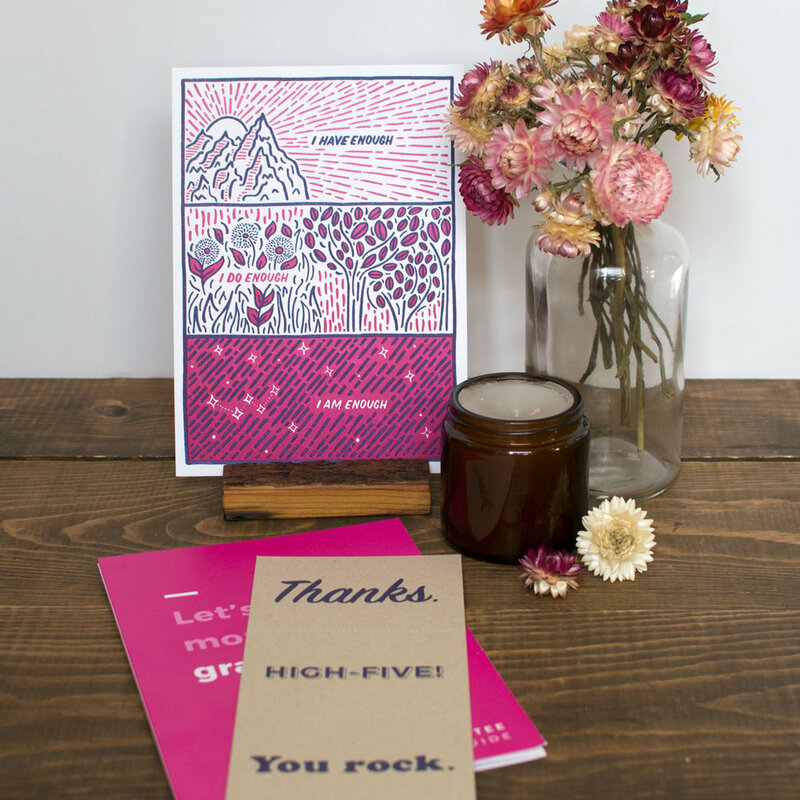 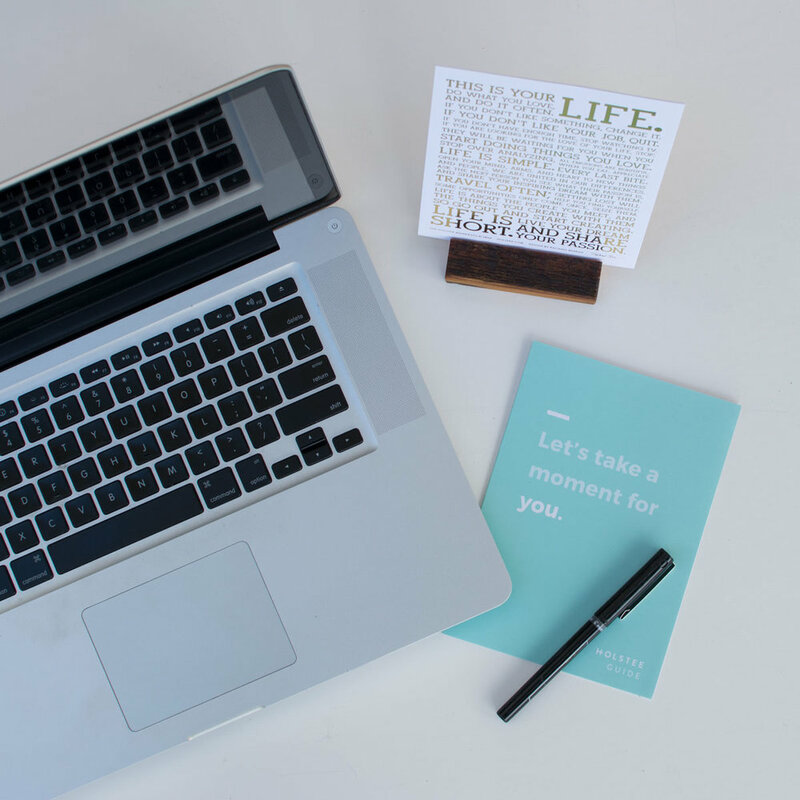 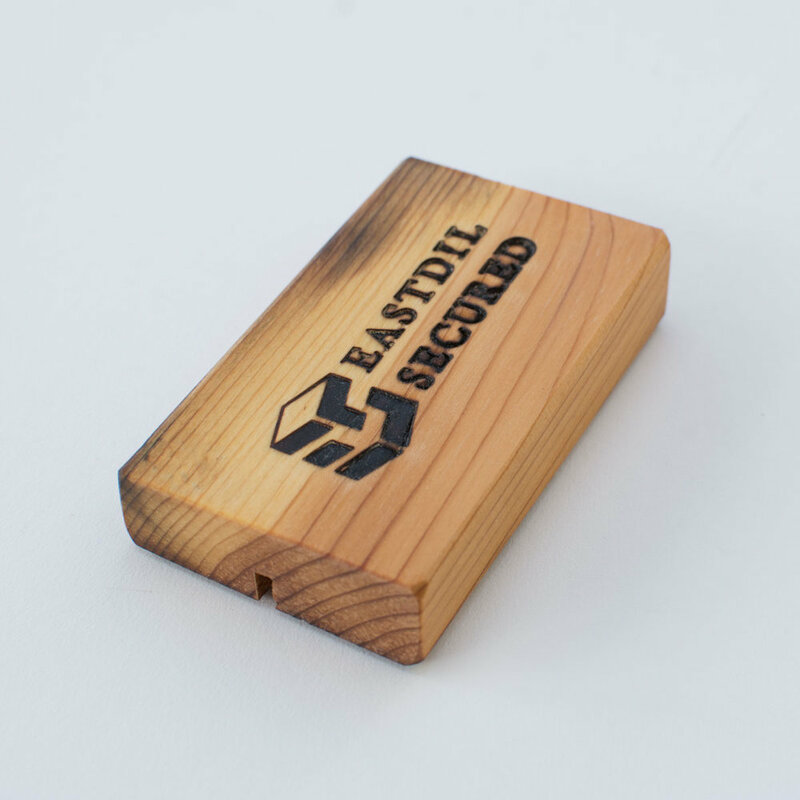 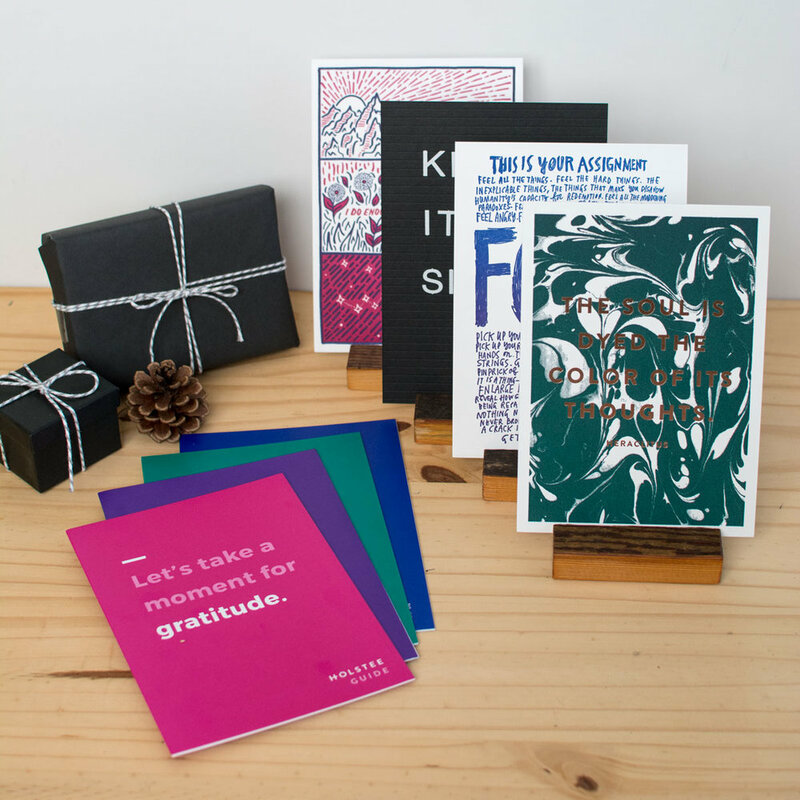 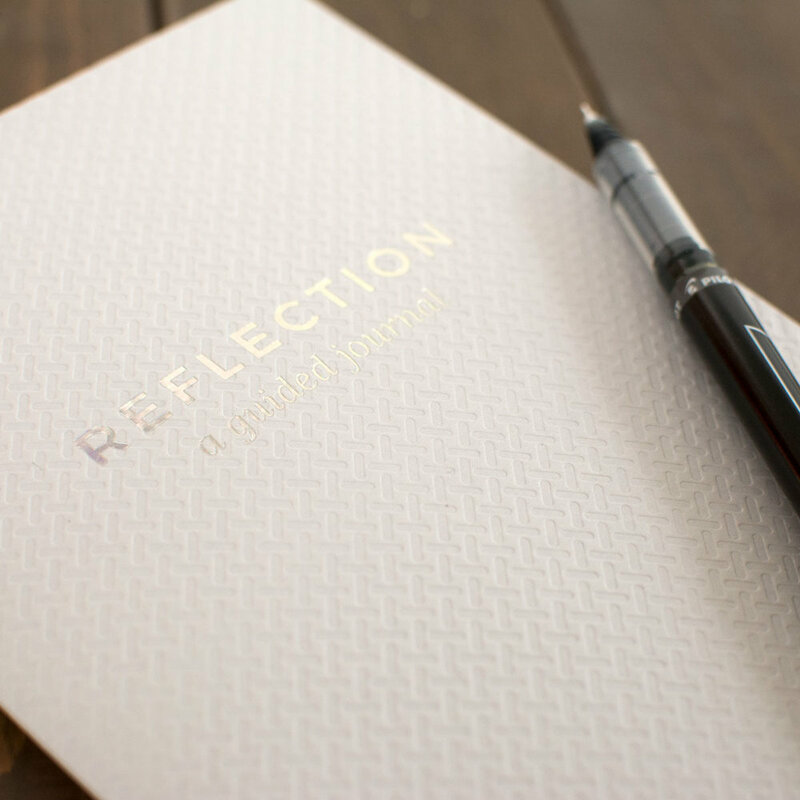 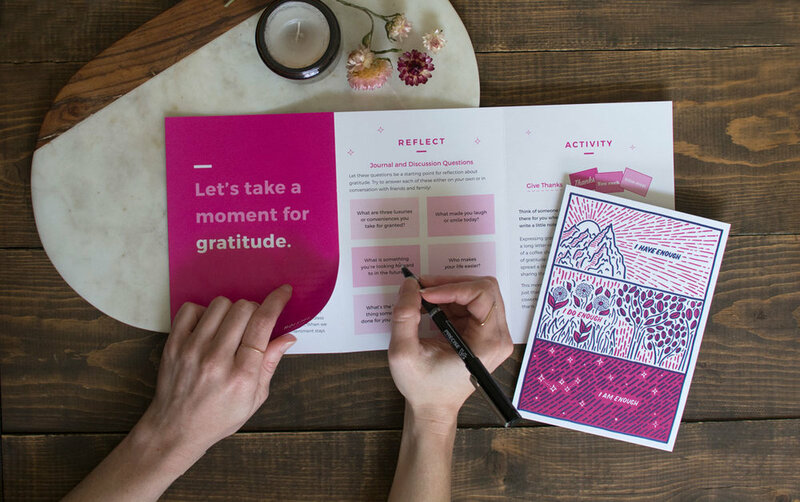 In the kit, you don't only get a gorgeous, incredibly nice letter-pressed print, but also inspiration, motivation, and an opportunity to reflect on yourself. 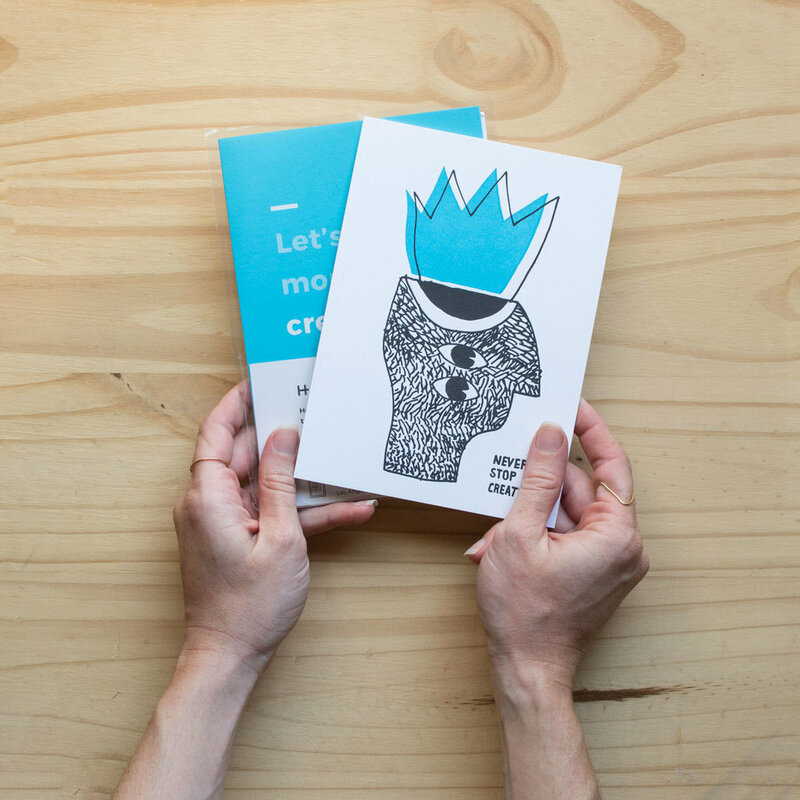 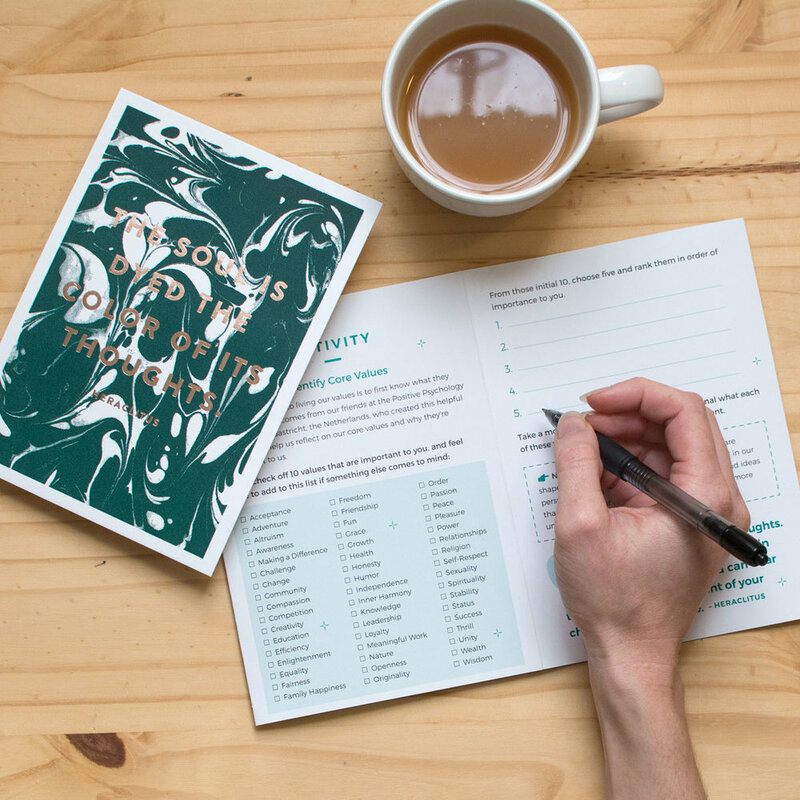 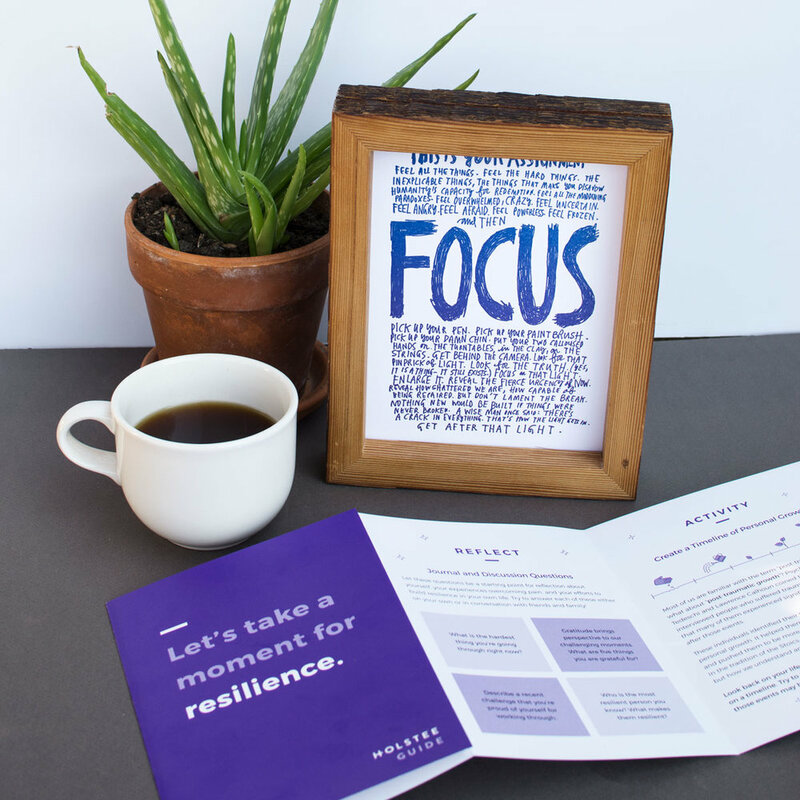 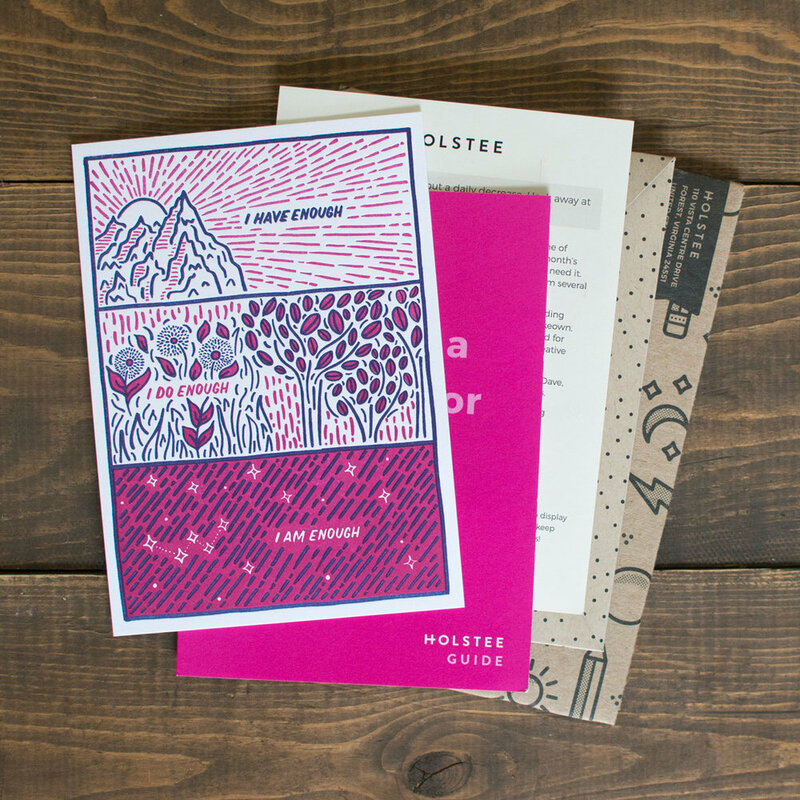 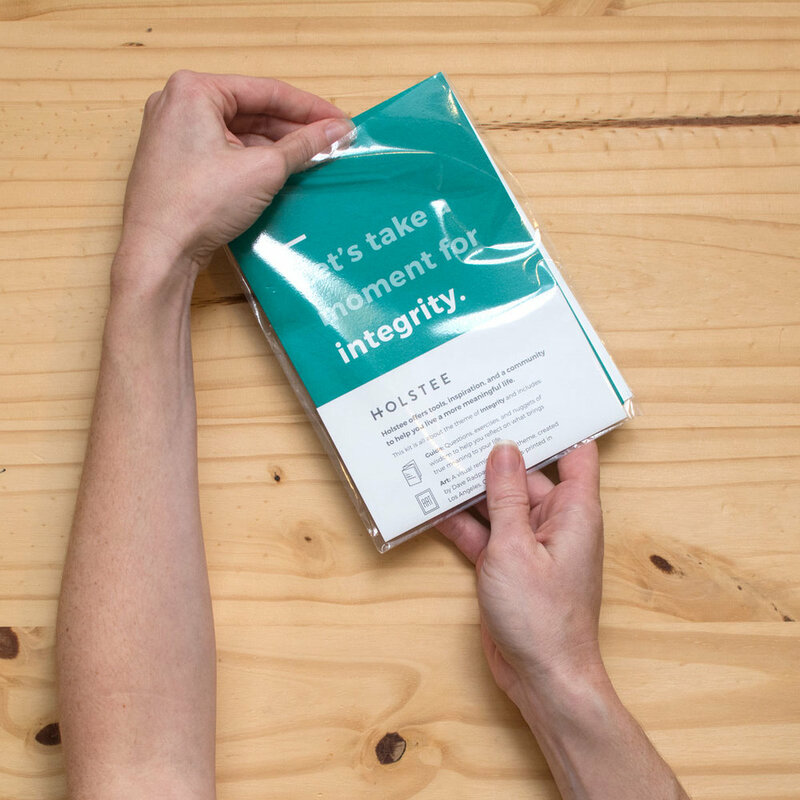 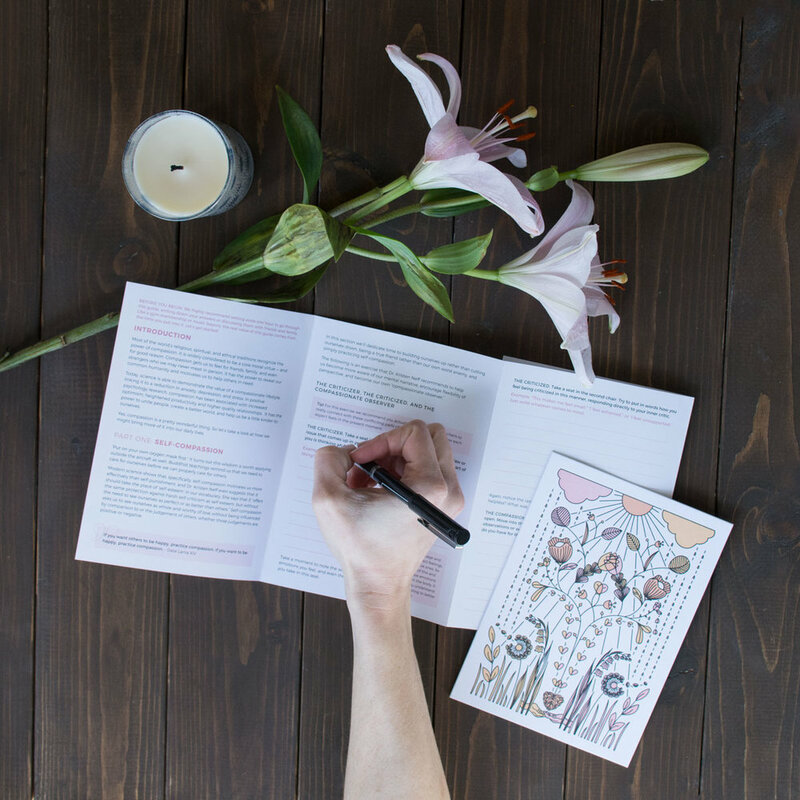 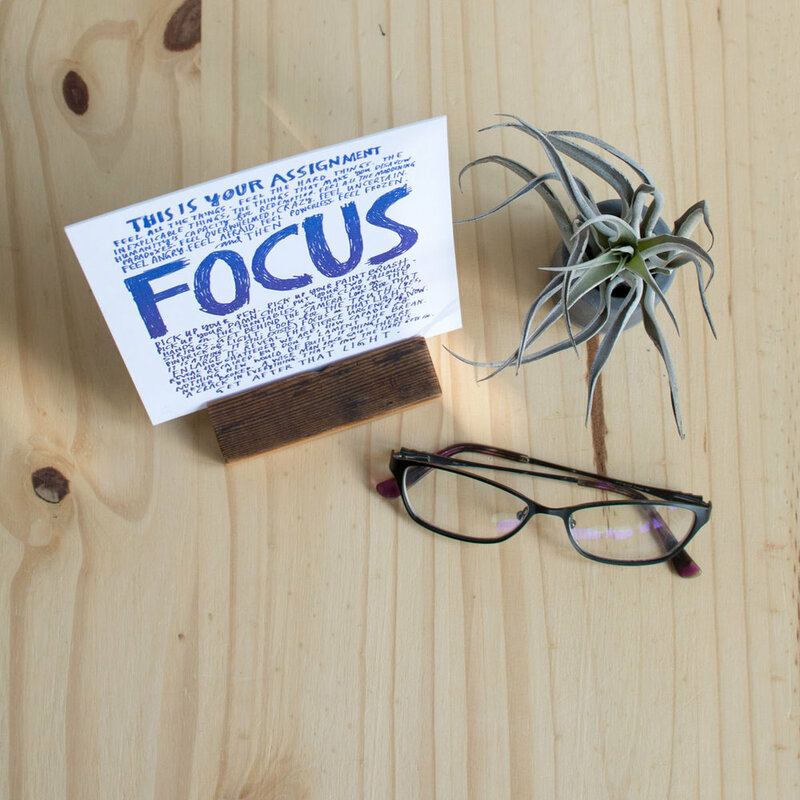 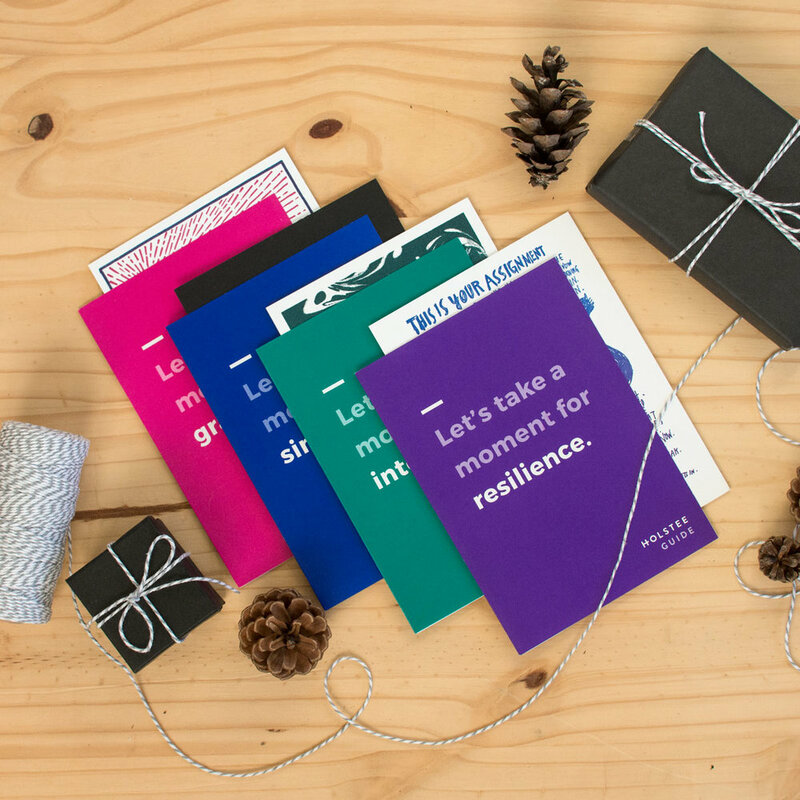 At the start of every month, you receive an insert with questions, prompts, or checklists that go along with their theme of the month to encourage personal growth. 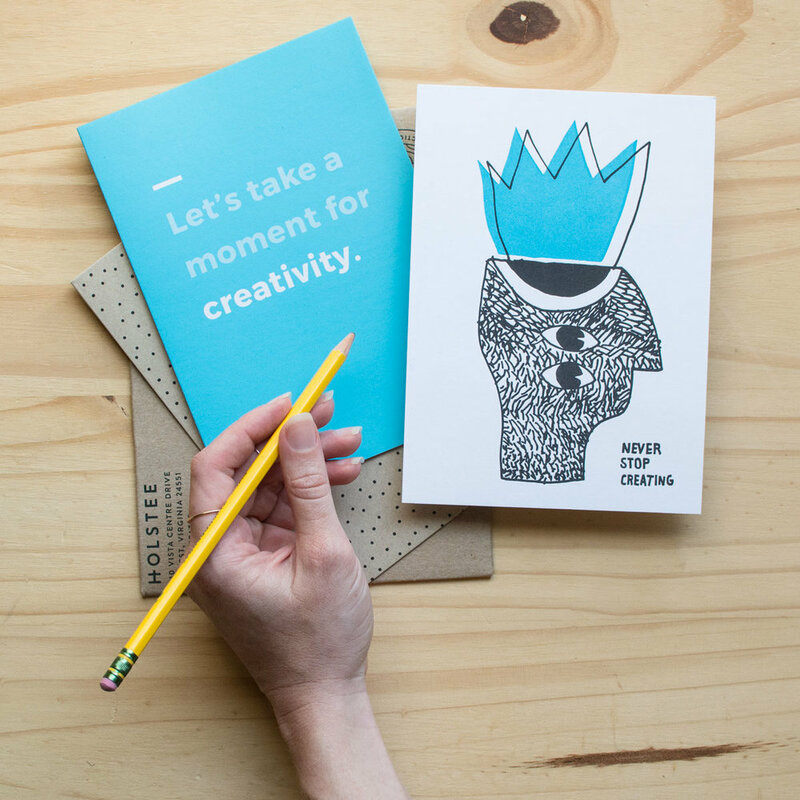 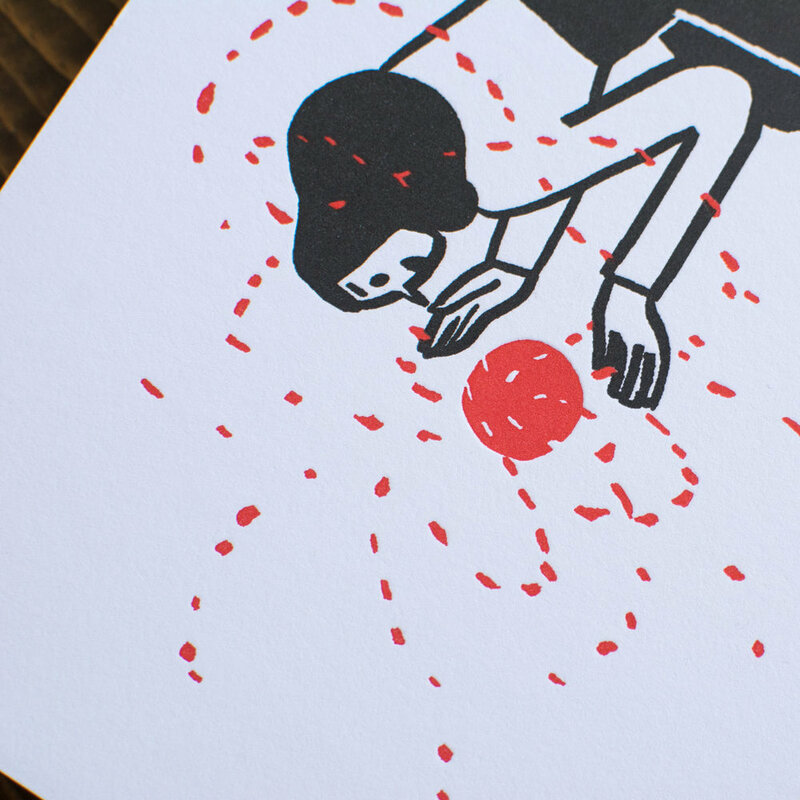 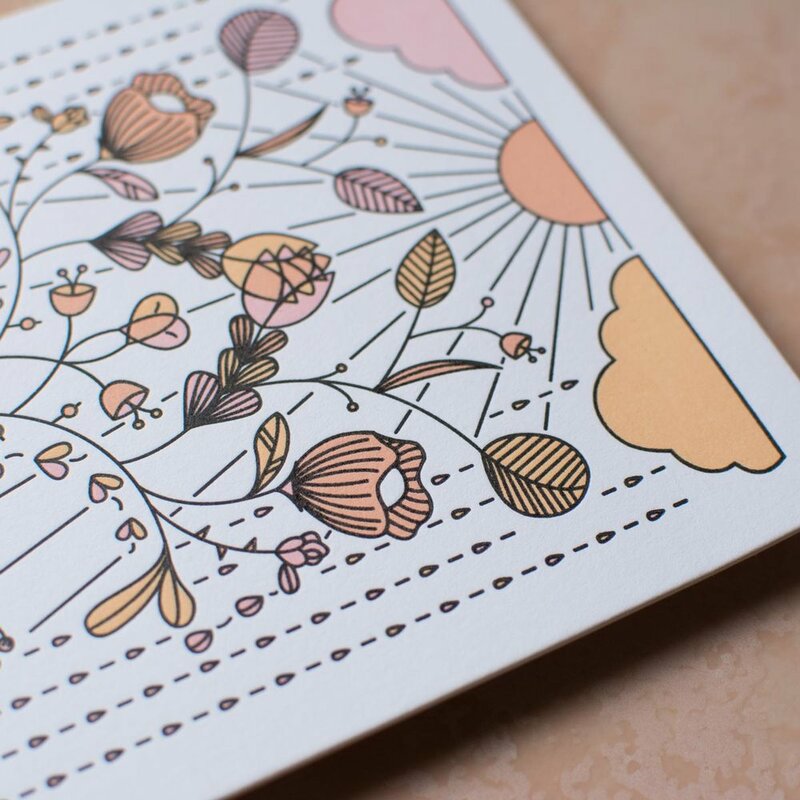 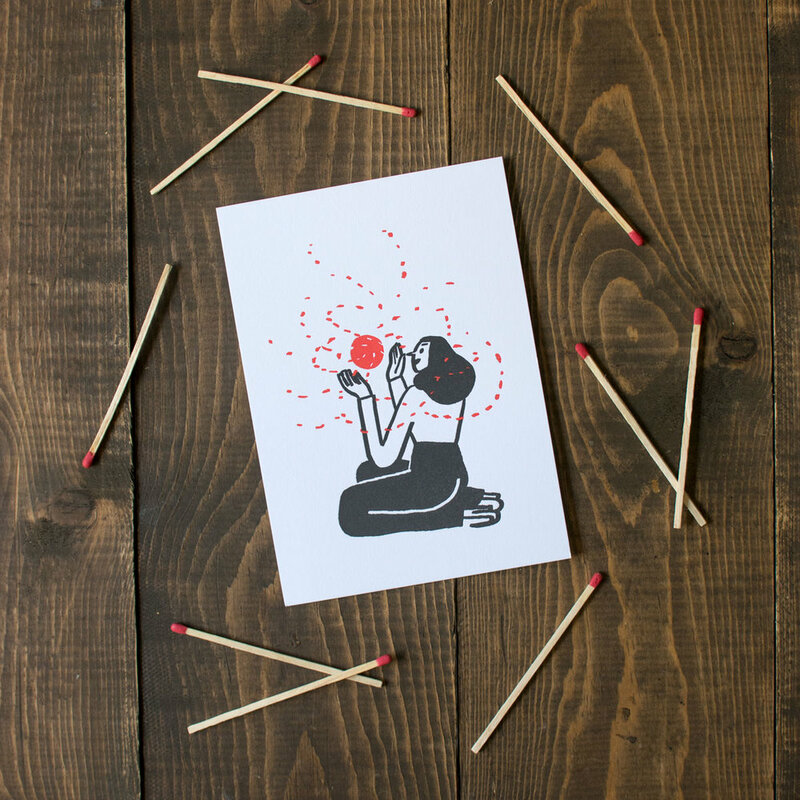 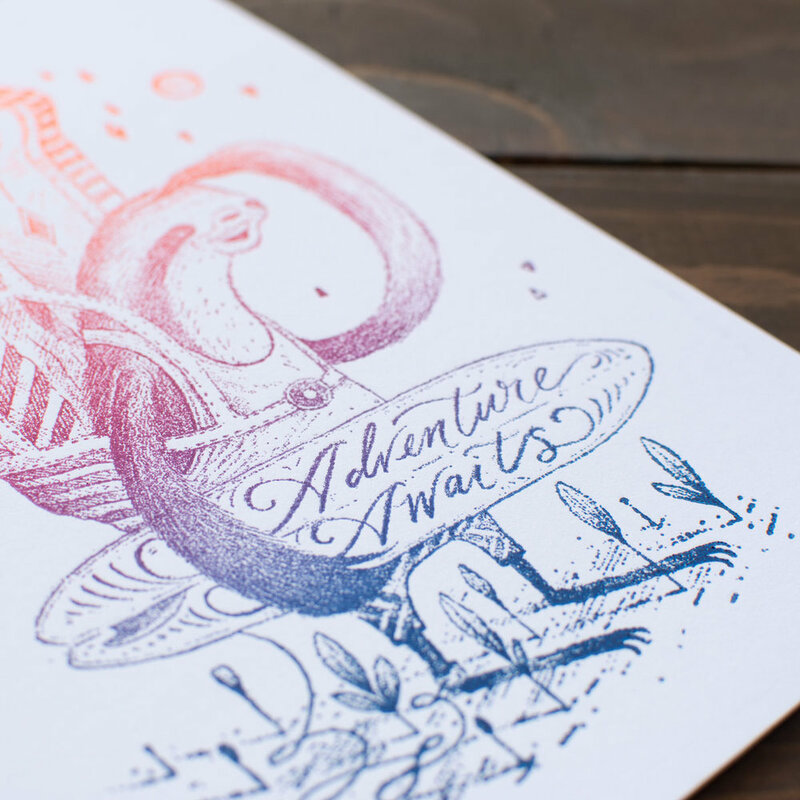 They also include an envelope for you to gift your print after you've had your fill of it, and help inspire someone else in your life. 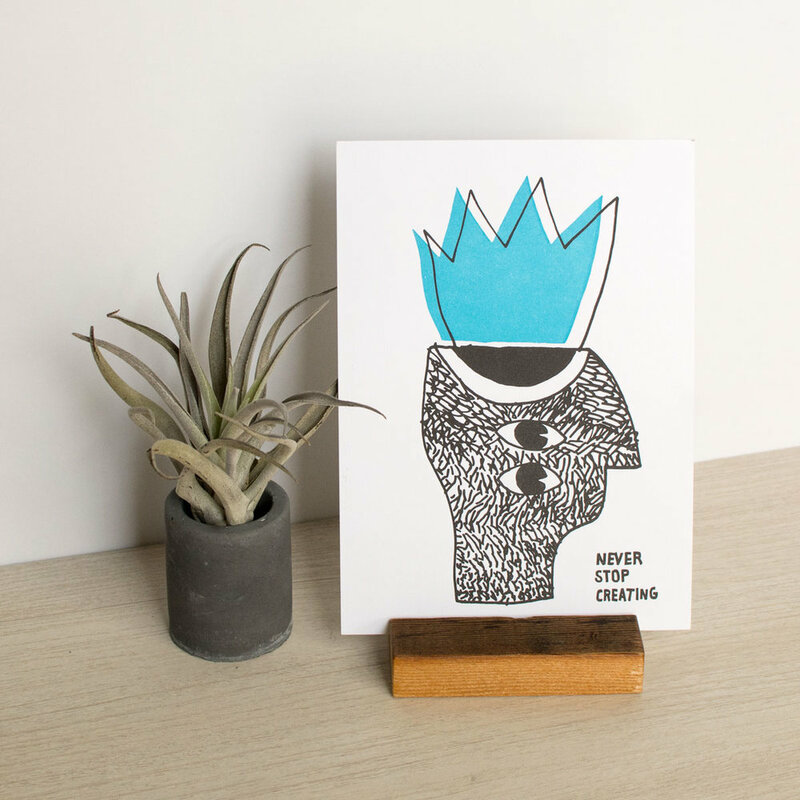 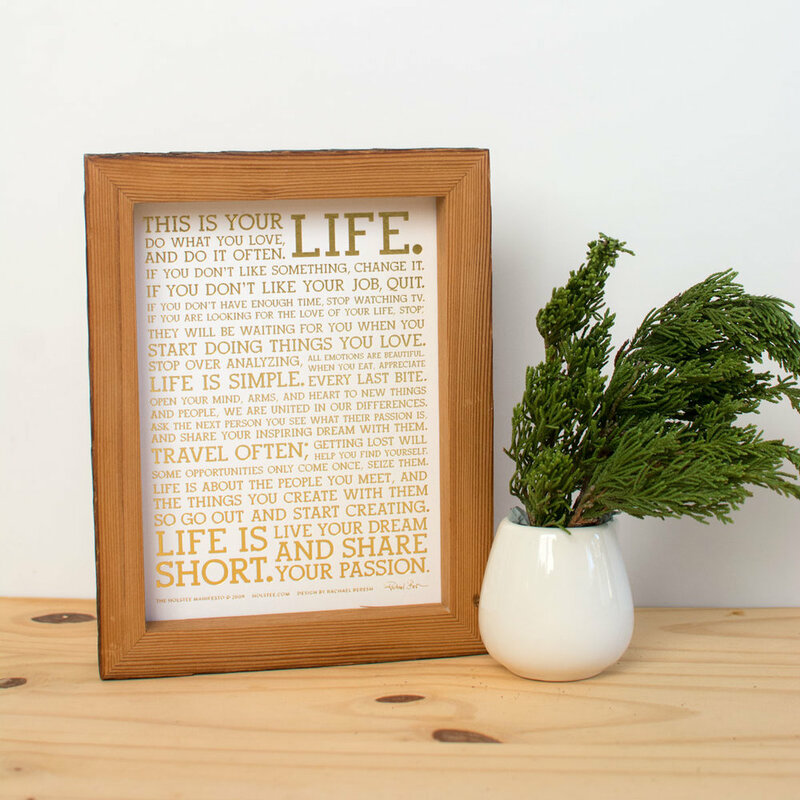 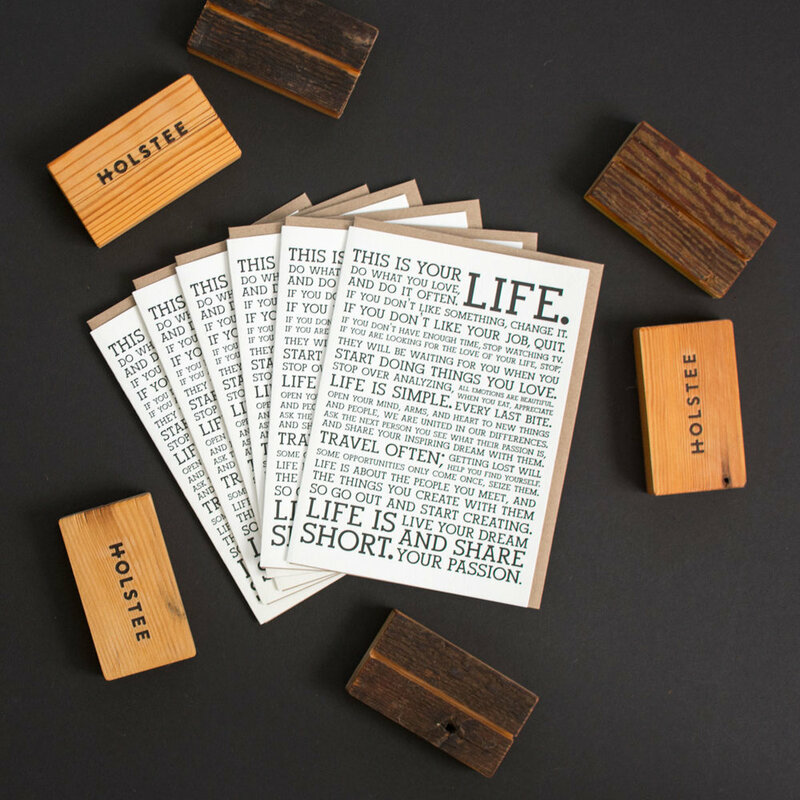 Learn more about my work with Holstee here.